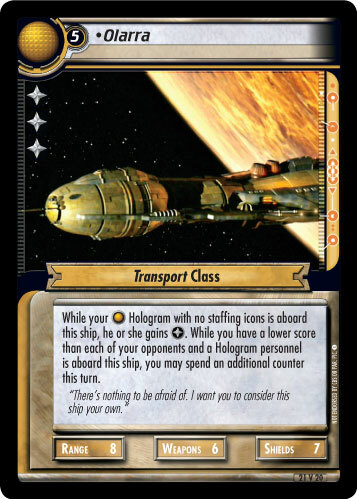 While your Hologram with no staffing icons is aboard this ship, he or she gains . 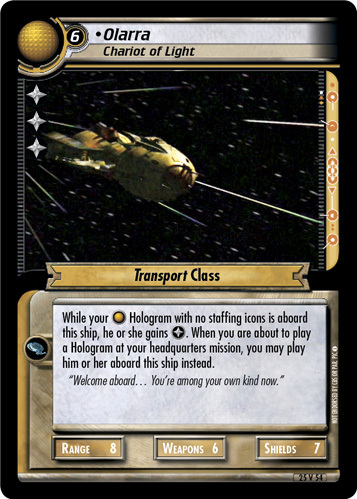 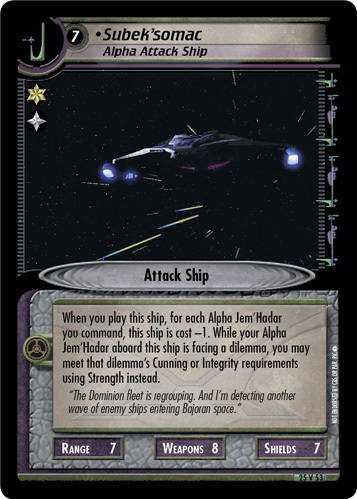 When you are about to play a Hologram at your headquarters mission, you may play him or her aboard this ship instead. 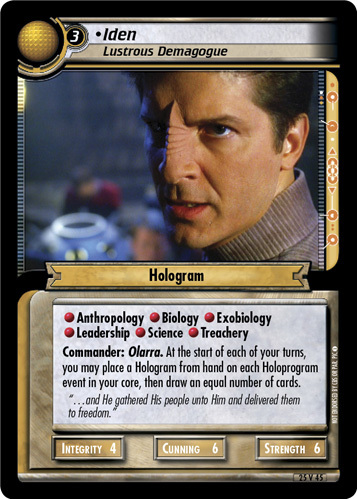 "Welcome aboard... You're among your own kind now."